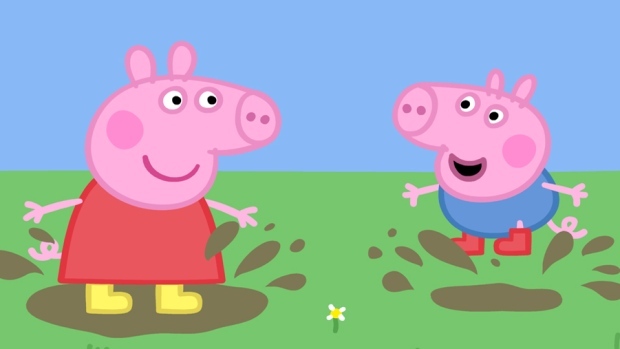 LONDON - British broadcaster ITV said on Thursday it would not bid for Entertainment One after failing to persuade the owner of the children's TV character Peppa Pig to enter into a formal process. Toronto-based Entertainment One said earlier this month it had rejected a 1 billion-pound takeover offer from Britain's biggest free-to-air commercial broadcaster, saying it undervalued the production and distribution company. ITV's decision to walk away sent its shares up 2 per cent while the stock of Entertainment One tumbled 18 per cent. At 1109 GMT its shares were down 13.6 per cent to give it a market value of 920 million pounds. "ITV continues to believe in the strategic logic and potential benefits of acquiring eOne but has a clear view of the value of the business, recognizing that this value would need to be verified by appropriate due diligence," ITV said. "It appears this value is different to the level at which the board of eOne would currently engage in a more formal process." ITV has been buying up production companies, particularly in the drama and reality TV genres, to reduce its reliance on U.K. TV advertising sales. Acquiring eOne would have bolstered its activities in television production and family entertainment as well as giving it an international film distribution business. Media reports have suggested that other groups such as private equity could be interested in Entertainment One.